It's a funny thing when you take responsibility for your life and tell the absolute and brutal truth. What's the famous saying? The truth will set you free? Yes, it sure does. The time had come to be brutally honest, to tell the truth, to take responsibility. This is my story, the journey of how I discovered love for me, unconditionally. To find out more order your copy now on amazon. This is my story. This is a story of returning to me. This is my story of travelling to Uganda, Africa. This is my story of how I left my country of Trinidad and Tobago to go to Manchester, United Kingdom, to complete a PhD programme and ended up working with women in Uganda and other parts of eastern Africa. To write this I had to live it. This story gives me an opportunity to share from the teachers I have met throughout my time on the continent. Writing this has given me the opportunity to pick out the nuggets of wisdom, love, life, joy, spirituality, sharing, authenticity and peace. I wanted to share these lessons with the hope that someone, anyone, will take it and make his/her life a celebration of what is possible. To use it as a guide to live his/her life in authenticity, freedom, passion, joy and service. To really value Nyabo (Madam) why are you here? This journal provides a space for you to share, learn, record and reboot your thoughts and feelings. The NiNa Programme. "That has been a great experience for me." She said it showed her how to be self-resilient and exposed her to women who have overcome difficult circumstances. At age 16, how many of us thought about being an entrepreneur? At age 16, how many of us thought that we could live off of our talent? As a matter of fact, how many of us think we can do this at 20, 26, 37 or 42? In each case, we’d say not many, right? BROUGHT to her knees after losing everything which she believed was most important and later shocked into reality that life was more than a husband, a house, a car and academic degrees, Trinidad-born Akosua Dardaine-Edwards, 39, an internationally known advocate for the empowerment and development of women has returned home to tell her story. On Wednesday, she will launch her first book What Did I Learn Today? Lessons on the Journey to Unconditional Self Love at National Library and Information System (NALIS) in Port of Spain..
A new breed of entrepreneurs is emerging. Akosua Dardaine Edwards, founder of the Enabling Enterprise Project, examines some of the recent trends within entrepreneurship, considering the rise in female entrepreneurs, the increasing and more innovative financing methods available, and the rise of social entrepreneurship. Akosua speaks to award wining journalist Erline Andrews - Why are you here? 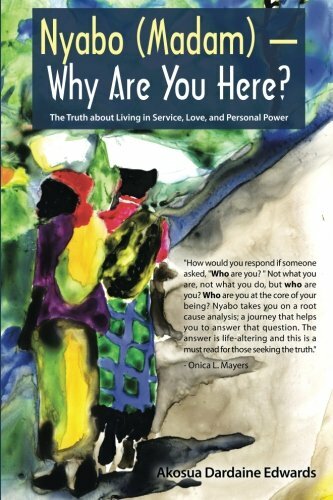 Radio Interview with Andrea Garrison - Nyabo(Madam) - Why Are You Here? Episode 12: #SelfLove as a precursor to #Selfcare. Plus, #selfcare around the world. A conversation with @AweCapt. I’m featured on the Chasing Dreams Podcast, where I discuss how I chased my dream. Not-enoughness can dictate our lives if we do not truly understand our worth and purpose. Podcast - So You Have An Idea...Now What? Mindset Changes Critical to the success of your business by So you have an idea...Now what?! Sometimes in your life, you will go on a journey. It will be the longest journey you have ever taken. It is the journey to find yourself”. Katherine Sharp. Akosua Dardaine Edwards – a powerful, brave woman, a warrior spirit, an inspiration. Akosua’s journey to find herself, is encapsulated in this book. 197 pages; 15 chapters exclusive of the Introduction and the Epilogue. It may seem like a short read, but so much is captured here. 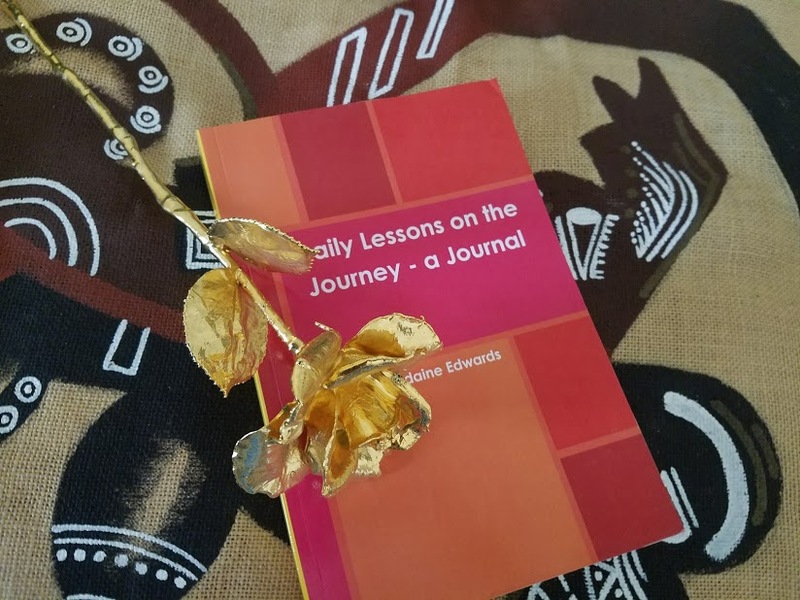 The book speaks to a journey, and a journey as we know, gives the idea of moving from one place to the next, and although there is physical movement – as the story moves through her life here in Trinidad and Tobago, in England and in Uganda – the real movement/the real journey is to a place of self-love. This journey to self-love is a painful one, one that is full of growth. A beautiful journey, one which a lot of us might choose not to do, but one which Akosua embarked on bravely and courageously. The book details this journey by identifying and speaking to different values or as I term them, guiding lights - Authenticity; Gratitude; Intuition; Balance; Letting Go; Self Confidence; Courage; Forgiveness, to name a few. Even though it is a painful story, it is not a painful read as it is written without bitterness and with a lot of humour, love and compassion. There is no beating up on self for decisions made and actions taken. There is no regret, no wishing to change the past and in this lies the beauty. So although we may be pained by the story we are still encouraged to laugh with Akosua as her sense of humour comes through in so many ways. It is a very generous book, as it shares not only the values and the lessons gained but also some of the tools that were used on the journey. And this sharing is done in a very gentle, non threatening way as if the author were saying to us, “this is what I used, it may help you on your journey”. It is here if you choose to use it. It is a self help book without being a self help book. This is Akosua’s story. She has opened herself to us, she has freed herself from her past. She has chosen to be authentic – to show up as she is. It is also your story and my story, not in the details of Akosua’s life but in the situations and places from which we choose to live. Am I living an authentic life? Am I being true to myself? In what ways have I not honoured myself, not respected my needs, not loved myself, not accepted myself, not set boundaries with the persons in my life, not believed in myself? Am I living for me or am I living to please others? What is holding me back from being my best self? These and other questions came to the fore while reading the book, encouraging me to stop and to assess, to bravely attempt to sit with the discomfort as the answers came forth. Not an easy thing to do. And so, it is through Akosua’s gentle, honest and compassionate writing that we are given the space to identify our own story, to come to terms with what has happened in our lives, probably share our own story. Acknowledging that we are on a journey, that we can change course anytime we choose to, that we can change companions on that journey if it means loving ourselves freely and unconditionally, being who we are and showing up as we are. 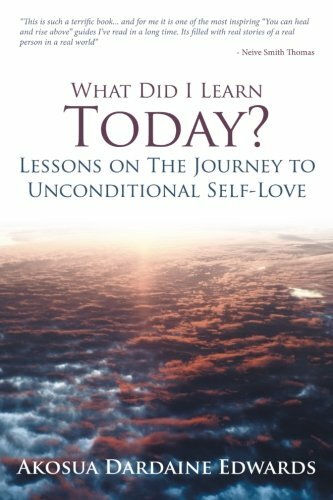 This is what the book affords us – Courage to love ourselves unconditionally. “I have learnt that transformation is the result of discovering that you are already whole. It is the realisation of the true self. Being human means so much more than you have ever imagined. It is a divine and wonderful experience to realise that you already have everything you need inside. It is a relief to discover that you are not flawed”. Thank you Akosua for being who you are – warrior spirit, leader, inspirer - for accepting the challenge, for stepping out, for sharing your story, for opening the way for us to own and share our story onour own journey to Unconditional Self Love. Congratulations. On to Book #2.